We manage a variety of development programs in rural communities in India’s South-East regions. All our activities follow a 360° Community Driven Development approach that encourages villagers to engage in their own development process and effect change on multiple levels: social, financial, environmental, physical and psychological. We emphasize the importance of a sense of unity, responsibility and leadership, and equal representation of men and women. 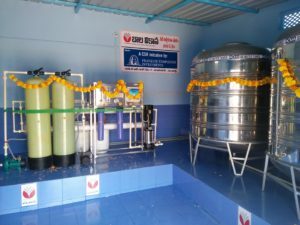 Bore wells, water purification systems and family toilets. Empowering women through self-help group networks and bringing attitudinal change to society as a whole. Improving infrastructure of rural government schools; educational support for orphans, semi-orphans and rural poor children; capacity building for young adults. Promoting organic farming, providing alternate irrigation systems in drought prone areas and renovating irrigation tanks for improved water resource conservation. SOPAR-Bala Vikasa is initiating new solar power projects in order to respond to the dearth of electricity in rural Indian villages.